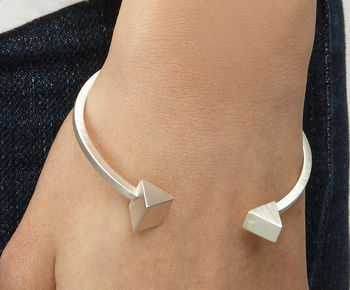 Sleek silver open oval bangle featuring mismatched triangle and square. 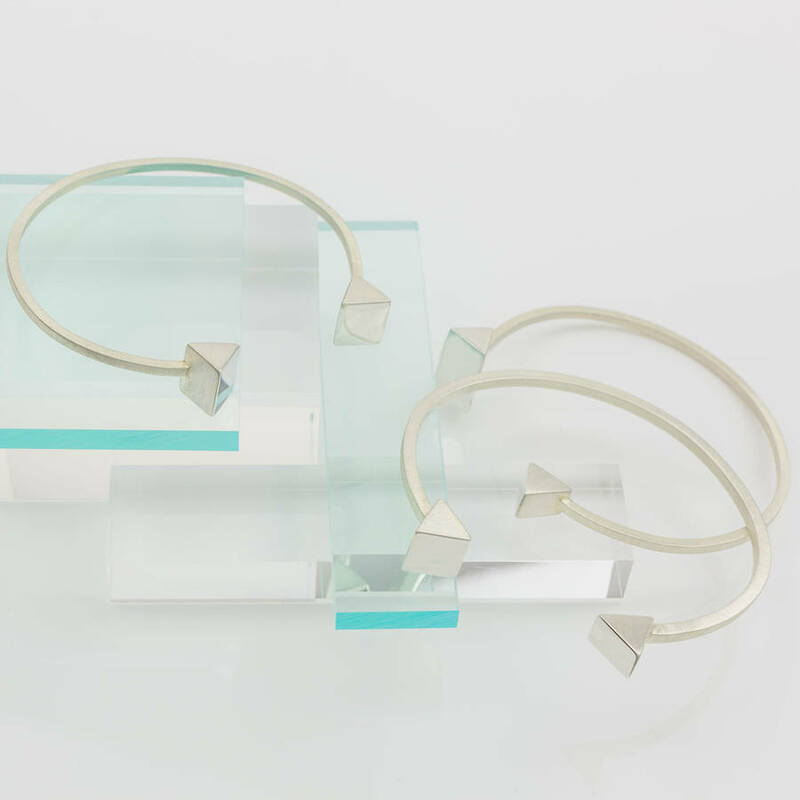 Gorgeous open oval bangle with triangle and square which may be worn solo or stacked. 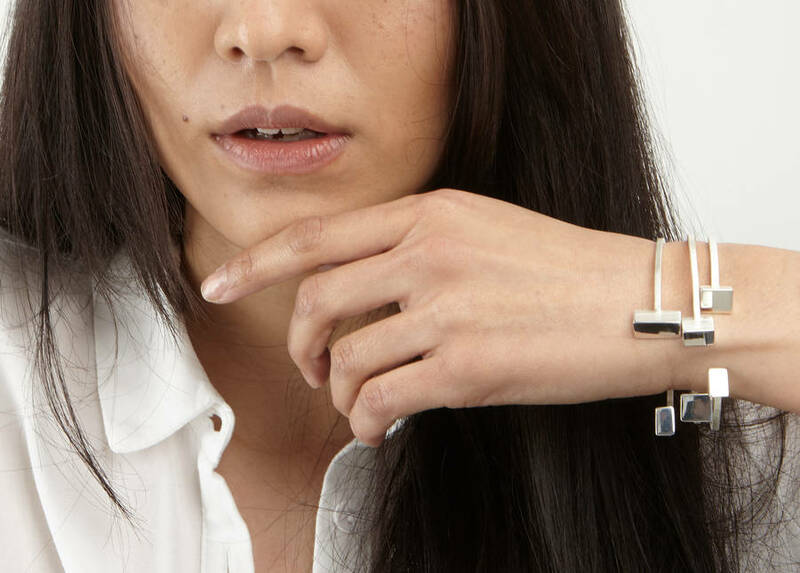 It's modern and very easy to wear so it's great for that special gift for a birthday or maybe anniversary or maybe it's just for you! 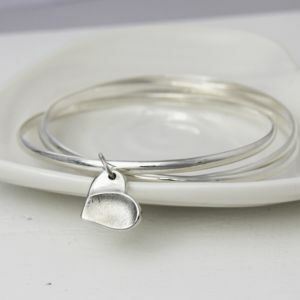 This bangle may be worn with other items in the Harlequin collection. They all feature simple and clean lines. 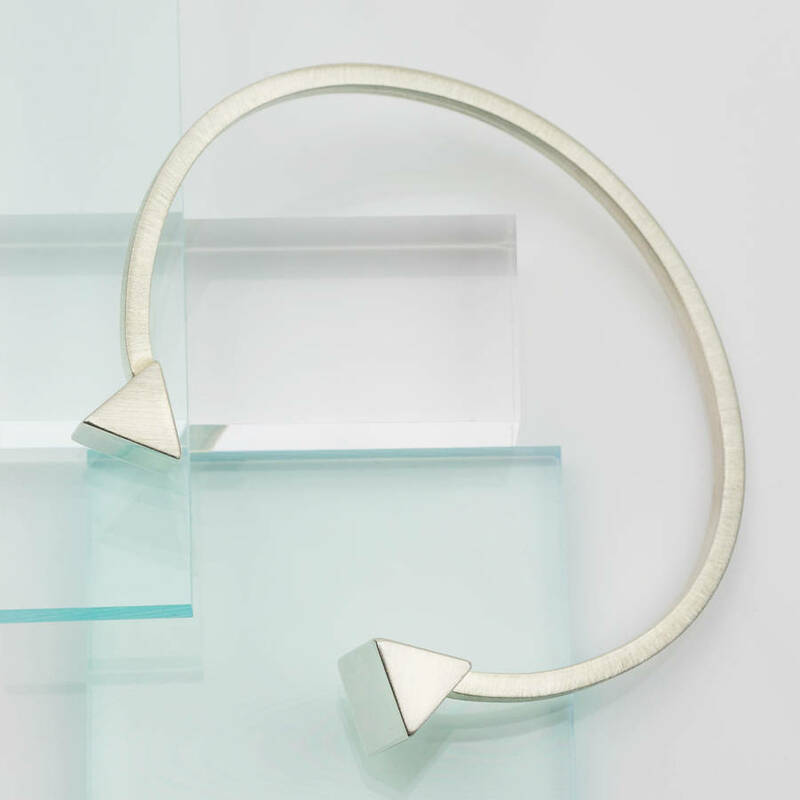 This bangle is made to order in our London workshop. It has a matt brushed finish with a single face on the geometrical shape being highly polished. 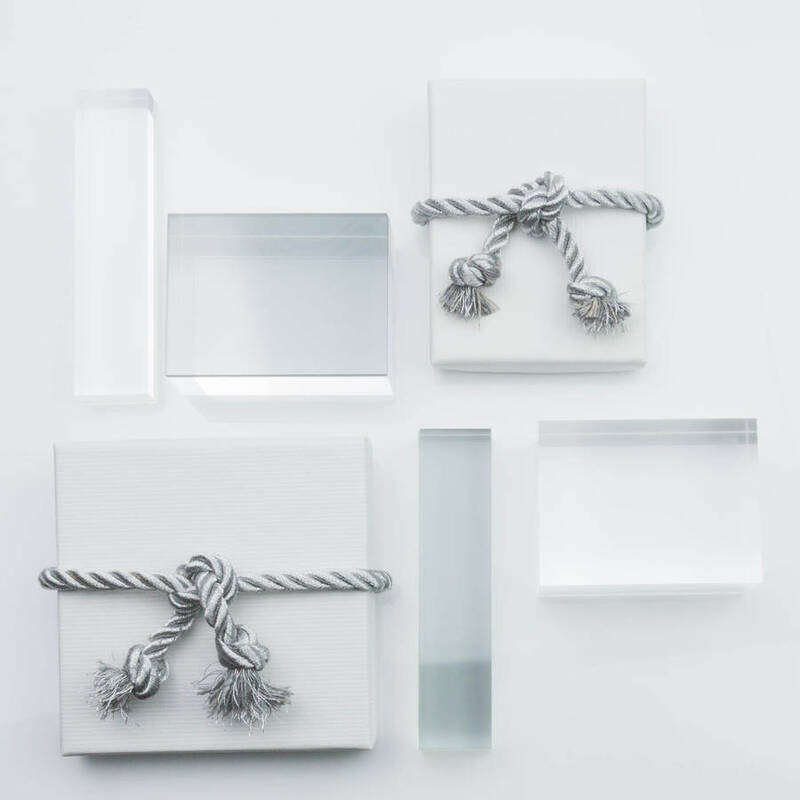 Presented in a pure white box bound with silver satin cord. Please keep your jewellery clean. If it becomes tarnished, wipe very gently, especially the matt surfaces, with a silver polishing cloth. 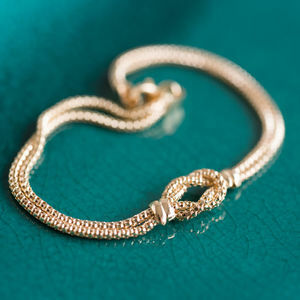 Do not allow your jewellery to come into contact with chlorine or chemicals. 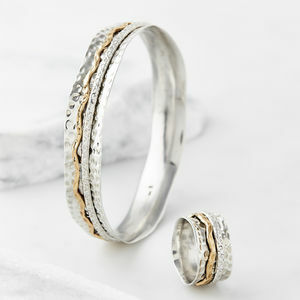 Store your jewellery individually as this helps it not to become damaged or scratched. 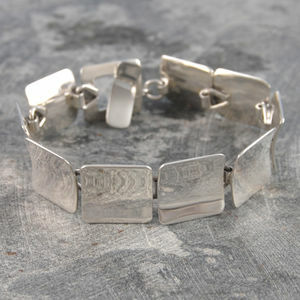 Please note that it is usual for silver items whch are worn stacked to become scratched over time. This happens when metal items rub against each other. 0.2cm width. Small geometric shape 1.0cm length width 0.5cm. Medium geometric shape 1.0cm length 1.0cm width. Bangle internal diameter 6.0cm, 6.5cm, 7.0cm. This product is dispatched to you by Volt by Veiled Rebel.